Are organic wines really better for you? The good news about even non-organic wine grapes is that far fewer chemicals are used on them than other on other fruit. Consumers want strawberries and pears to look good on the fruit stands, so they ignore the chemicals that keep them that way event to the detriment of taste and health. However, the appearance of wine grapes is irrelevant, since they’re going to be crushed. As a result, they’re grown specifically to optimize their taste. Still, there are 17 chemicals commonly used in vineyards today and grapes aren’t washed before being crushed. This means non-organic fruit may have trace amounts of chemicals, but many winemakers purport that the process of fermentation neutralizes almost al l such residues and filtering the finished wine usually removes whatever might remain. The science on this is still pending. However, University of California at Davis studies note differences in the internal chemistry of fruits and vegetables between those that had preventive prophylactic sprays applied when known insect infestations would occur, and those that did not. The unsprayed plants produced significantly more compounds related to the immune systems of those plants, the ones we also value as human anti-oxidants, including phenolic compounds and flavonoids. After all, federal law stipulates that there can’t be any chemical residue in the finished wine, organic or not. There’s really no evidence that organic wine is any better for you than non-organic, or that it will reduce your risk of cancer, heart disease or other illnesses. Does organic wine cause fewer hangovers? Sadly, no. The only cause of a hangover is drinking too much alcohol. Organic wine won’t even make your hangover less severe. Do organic wines taste better? In blind taste tests, many experts perceive no difference between well-made organic and non-organic wines. 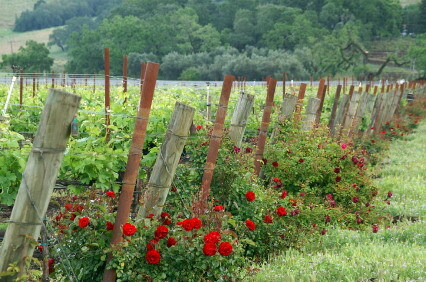 Still, in the words of Randall Grahm, owner of California’s Bonny Doon Vineyards: “Our vision must go beyond taste. Having said that, wine is an expression of the earth in which the vines grow. If that earth is rich and alive, rather than a chemical wasteland, that’s got to affect the wine, even though the difference may be subtle. 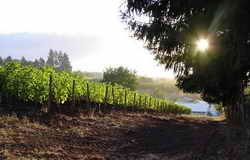 Winemakers themselves certainly believe that their wines are more complex when the grapes are organically farmed. That process demands careful hands-on attention to matters such as canopy management, when growers prune back the leaves to create better air circulation among the grape bunches so that there’s less chance of rot. How is organic wine different from vegan wine? It’s all in the clarifying—the removal of the particles which create cloudiness. Some vintners skip this step because they believe it can strip the wine of some of its character. One of the traditional ways of “fining” wine is to add whisked egg whites to the barrels of fermenting wine. As these settle through the liquid, they bond with particles and eventually float back to the top, where the vintner scoops them out. 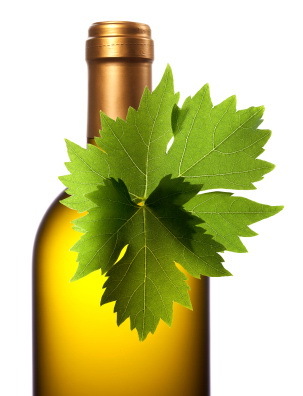 Organic wines allow the use of the whites of organic eggs, but not vegan wines. Vegan wines also don’t use clarifying substances in the trade like gelatin, blood, skim milk, and fish bladders in favor of certain types of clay, centrifuge machines or cellulose filters. Another method is to simply allow the wine a longer time in the barrel so that any particles settle naturally at the bottom and can be left behind when the wine is drained out into bottles. Organic Wine v Biodynamic Wine v Sustainable Farming: Differences?